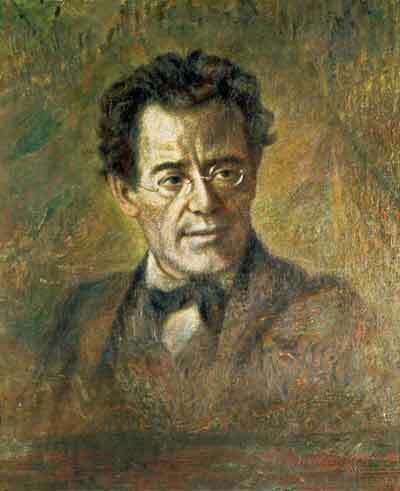 Clearly, Mahler was a guy who liked to think and compose about death. Musical allusions to it show up in all of his works being performed as part of the Los Angeles Philharmonic’s “Mahler Project” (some may quibble about Songs of the Wayfarer, but if you’re singing about putting a red-hot knife in your breast, I think it counts). Death manifests itself differently in each of his symphonies, with the Ninth typically being referred to as Mahler’s farewell to life, especially in the work’s final movement. Whether the musical adieu is intended to be a melancholy one or not is a matter of interpretation. Last night, Gustavo Dudamel led the LA Phil in the first of three performances of the Ninth Symphony. It was a beautiful rendition and exquisitely played. Mr. Dudamel’s choices of phrasing felt natural, even during some broad swings in tempi during the second movement. There was a great deal to be admired and enjoyed. And yet, it felt like there could have been more. As the fourth movement progressed, there was a lot of intensity in the playing, but not a lot of tension in the music. When the end finally came, it didn’t seem beautifully or tragically inevitable, merely predictable. It led to a finale that didn’t feel so much like a musical death as it did a dispassionate fading away, like the famous “old soldier” in Douglas MacArthur’s own farewell — or, less philosophically, like an old pop song that couldn’t fit unabridged on a 45rpm record. Perhaps this is what Mr. Dudamel intended; perhaps not. Either way, the result was a Mahler Ninth that wasn’t transcendant, like the best interpretations can be. It was ultimately a performance that could be readily admired but was perhaps a little harder to be truly adored. This does not diminish how impressive the orchestra was. I don’t think I’ve ever heard the LA Phil sound this good under Mr. Dudamel, and their collective ability to play with seemingly contradictory combinations — robustness and transparency, precision and spontaneity — was remarkable. No matter how dramatic the turn or exposed the entrance, the playing was clean and unified, even during the most raucous parts of the third movement Burleske. The roughness that was so prevalent during Mr. Dudamel’s first season on the podium? Gone. The numerous solo turns by the LA Phil’s principals had poignancy, and the dialogue between the players — such as a flute with a horn, or the violin going back and forth with a varying array of winds — was rich. Given the great playing all around, it seems almost unfair to single out any particular player; that said, I will mention that Mr. Dudamel gave the the first solo bows to the woodwind principals collectively (David Buck, flute; Ariana Ghez, oboe; Michele Zukovsky, clarinet; Whitney Crockett, bassoon), though the loudest cheers from the audience were given to Principal Horn Andrew Bain. As the fourth movement was quietly coming to its long, drawn-out conclusion last night with the strings playing the final few measures, a high-pitched whine of an errant hearing aide whistled for a few seconds — and you could sense the 2,265 people in the audience hold their breath before the noise abated. Then a few moments after the last notes were played and Mr. Dudamel did his best to impose silence on the proceedings by keeping his arms in the air, a cell phone alert briefly, but loudly, chirped. Many in the audience let out a groan, but Mr. Dudamel remained steadfast in his stance, arms aloft, waiting for the mood to settle and quietness return before finally dropping his hands fully to allow the applause to begin. Before the performance, the PA announcer stated that these performances would be recorded for future release. I’ll be curious to see if they edit out the aforementioned electronica, not to mention the very audible grunts coming from the podium as Mr. Dudamel emphatically cued in various sections. Making noteworthy contributions but not listed in the regular roster were Thomas Hooten, Principal Trumpet designate, and Kelsey Molinari, guest principal harp. Some may recall that Ms. Molinari (nee Erdahl) was a last minute replacement for an indisposed Lou Anne Neill during last year’s LA Phil European Tour when the Mahler Ninth was also performed. It was the first time I’ve seen the Mahler Ninth with all the violins massed together, firsts and seconds sitting next to each other. While I prefer the contrapuntal sense of having them on opposite sides of the stage, the impressive unanimity of tone was highlighted by having the two sections adjacent to each other. Tags: Andrew Bain, Ariana Ghez, David Buck, Kelsey Molinari, LA Phil 2011-2012, Mahler Project, Michele Zukovsky, Thomas Hooten, Whitney Crockett. Bookmark the permalink.